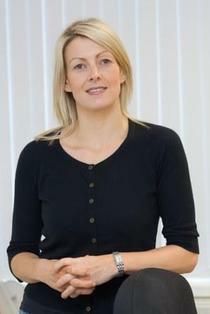 Heather Reynolds is one of the owners of Irish company, Eishtec, which is based in the South-East of Ireland. Eishtec is an outsourced contact centre, providing tailored customer service solutions predominately to the UK Telecommunications sector. The Eishtec ethos is to consistently deliver an experience which challenges the standards of service typically not delivered in the BPO sector. Eishtec has delivered over 1200 jobs across Waterford, Wexford and Clonmel in Ireland and Craigavon in the UK. Eishtec won a CCA global excellence award in 2013, ‘Business of the Year’ award via Wexford Chamber, and Best Customer Service award with Waterford Chamber in 2015. Heather has over 25 years industry experience in the services sector across a number of Blue Chip organisations including AOL Inc, Dell UK and TalkTalk Group where she held a number of senior roles including Customer Experience Director, General Manager and the role of Director of Operations. Heather holds a Business Degree from WIT. In 2013 Heather was 1 of 6 Industry partners appointed to the Action Plan for Jobs based on her track record of job creation and developing a business. In addition, Heather was appointed to both the National Competitiveness and Labour Market Councils of which she is actively involved. In early 2014 Heather was appointed as a Non-Executive Director of Respond Housing Association.